2012 marks 110 years since Warne published The Tale of Peter Rabbit. In celebration, we are publishing limited editions of twelve classic tales with colorful covers, special endpapers, and notes explaining the history behind each book. 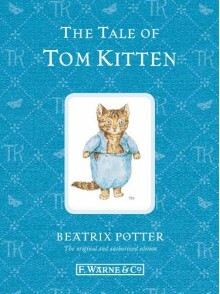 The Tale of Tom Kitten is the tale of Tom and his sisters who manage to get their new clothes all dirty.